Is that true? While my Protestant tradition doesn’t hold to the doctrine of eternal security, I’ve at least been inching in that direction for many years now (as my friend and blog reader Tom, who himself holds loosely to the doctrine, and I have discussed). So Bruner’s words are a challenge to me, too. But maybe they should challenge us all. While I laughed out loud at this recent Babylon Bee article (headline: “Arminian Feeling Pretty Saved Today”), I’m not sure it reflects reality. After all, I’ve known few Methodists who’ve worried about the state of their soul. Why? What is the source of their confidence? Perhaps all of us need to reevaluate our security in Christ—be it “eternal” or, for many of us Wesleyan-Arminians, a shade or two more provisional. Not too many years ago, God rescued me from the precipice of hell by convicting me of my sin and pointing me once again to the cross of his Son. While the theological liberalism of the Candler School of Theology played a harmful role, the main problem was in my heart, not my head. In other words, plenty of evangelicals whose hearts are in the right place make it through Candler just fine. So if I’m going to be proud of anything, let me be proud of what Christ did to save me, not the theological camp in which I now stand as a result. 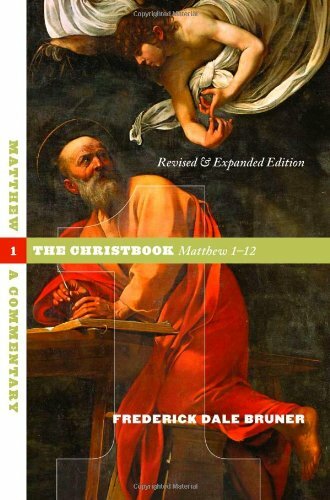 † Frederick Dale Bruner, The Christbook: Matthew 1-12 (Grand Rapids, MI: Eerdmans, 2004), 93-4. This entry was posted on	January 10, 2017 at 3:22 pm	and is filed under Uncategorized. Amen. It’s not the “heritage”, it’s the “Baptism by the Holy Spirit” that seals the deal. And, if that actually happened to you, then there is no smugness in your assurance. You thank God every day for His Son, and you seek to example Him. None of us can really do that, and God knows it, but we can try. And, when sin pops up in our own lives, we hope to see it and quickly repent of it. That whole Sanctification period is not a steady ascension of getting “better”. It’s full of steps forward and steps backward. Only after the final judgement will we be made perfect. Having “grown up Methodist/United Methodist”, and accustomed to using my long term Methodist heritage as my salvation, I was stunned when I reached a point where I was so lost, broken and confused that I had to distance myself from all things church. 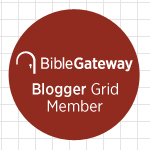 Best thing I ever did because that is when I discovered two things: First was the existence of a God worth worshiping and my teacher was, of all things a Presbyterian pastor with a non-denominational background along with the Heidelberg Catechism. Second was encountering the mind boggling versions of Methodism that exist under the United Methodist umbrella–no wonder I ended up so lost and confused. I have gone on to plant my flag in a more Wesleyan understanding of Christianity and enjoy the guidance of John Wesley himself along with others that speak with a decided Wesleyan voice. Beyond identifying specific faith traditions, I do not believe that Christianity should be compartmentalized into all these sub-categories that I have encountered within in The UMC. However, I found myself wanting to ‘live beyond” all the variations and their labels. I recently snagged the term “classic Christianity” from a quote by Thomas Oden. I like it because it does not have all the baggage of conservative, progressive, liberal, fundamental, traditional, evangelical, mainline Christianity. What I find most ironic about the United Methodist Church is that it is in existence because John Wesley was adamant about one thing: A “practical religion for a plain people”; he never wavered from the individual and their relationship with God as Priority #1. Such goals are not even on the collective radar of The United Methodist Church. Sadly it has degenerated into competing, conflicting and contradictory factions jockeying for position and control. There are days I wonder if the most merciful thing to do would be to put an end to its existence. Good stuff here. First, I feel little ecclesial and theological kinship with many Methodists these days. They never argue with me anymore, on this blog or social media. (They used to.) I miss that. At least when we were fighting, it felt like we all had a stake in what happens in our denomination. Now we’ve all retreated to our respective corners. The UMC will be put out of its misery, as it currently exists, in 2019, at a specially called General Conference to decide, once and for all, what to do about the issue that is splitting our church apart. One faction will keep the name, I’m sure, but at least something that emerges from the mess will be a better, more faithful, more Wesleyan version of Methodism. I’m confident of that. What kind of church do you go to now?